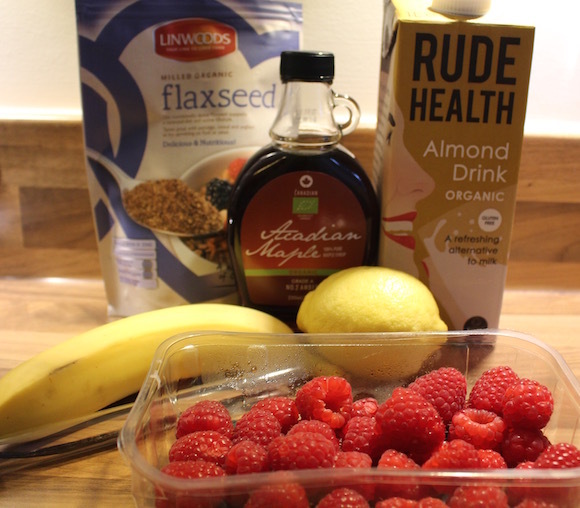 Brilliant breakfast alert! 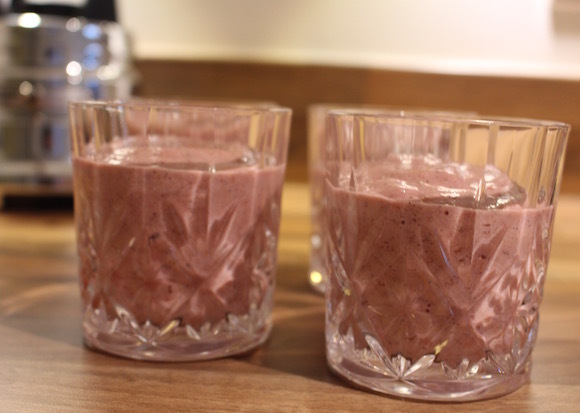 This porridge, using buckwheat groats instead of the usual rolled oats, is perfect if you're looking for something a bit more substantial than a smoothie to start your day. 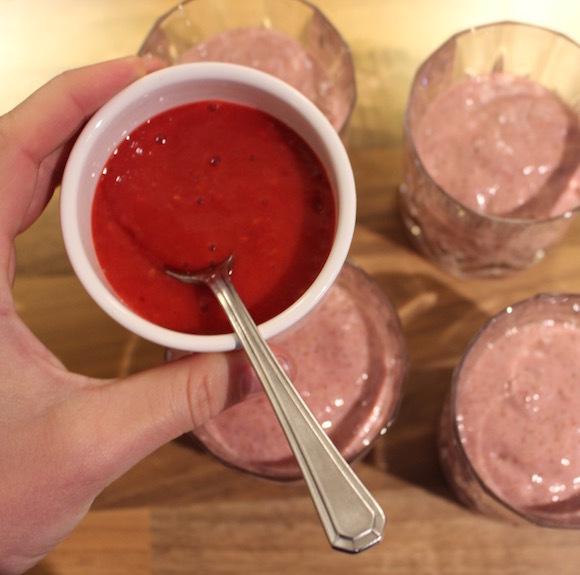 I found a recipe for raspberry ripple porridge on the wonderful My New Roots. The following recipe has a couple of tweaks, mostly because of what I had in the cupboard, and it's so creamy and delicious! There's an amazing zing from the raspberry puree topping, a lovely warmth from the vanilla pod and a boost of sweetness from the maple syrup. Basically, YUM. 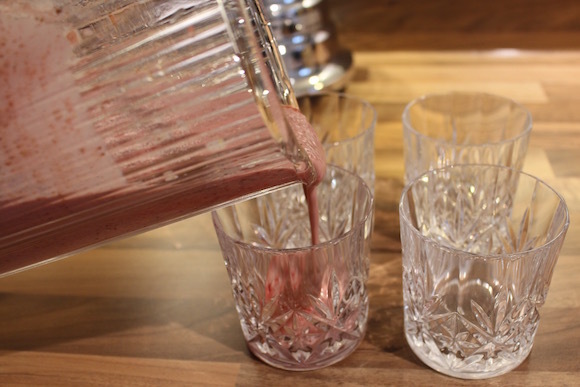 Soak the buckwheat overnight in water. Yes I KNOW it's a major bore to start prepping your food an entire day before hand, but it takes no time at all to put the buckwheat in a bowl and cover it with cold water. I promise it's worth it the next day! The following day, rinse your buckwheat well. 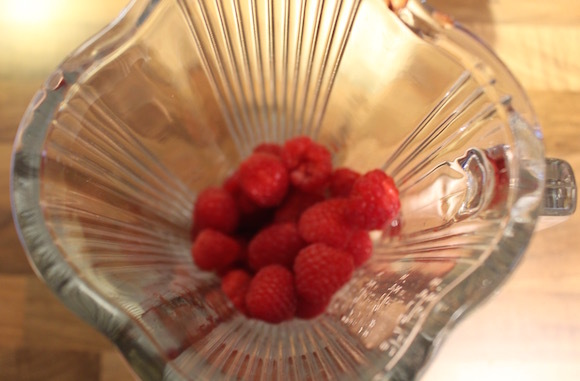 Put the raspberries and maple syrup in your blender. Whizz up until you get a puree. 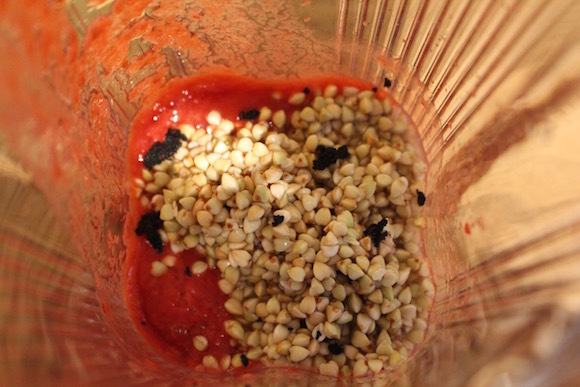 Scoop out a couple of tablespoons of puree and save for decoration, leaving the rest in the blender. 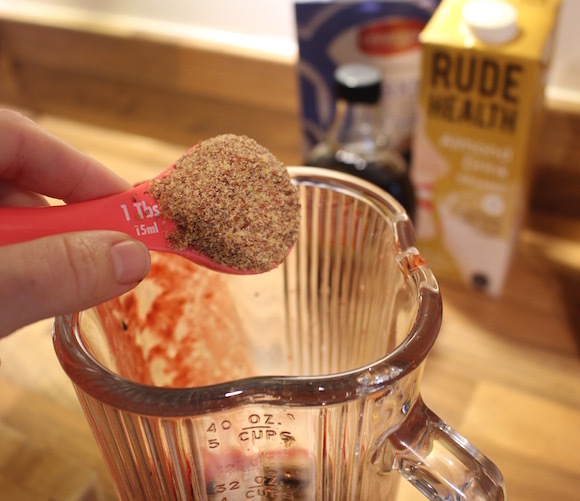 Add the soaked buckwheat, flaxseed, banana, milk and scraped vanilla seeds to your blender. Squeeze in some lemon juice. Whizz until thick. Top with the remaining puree. 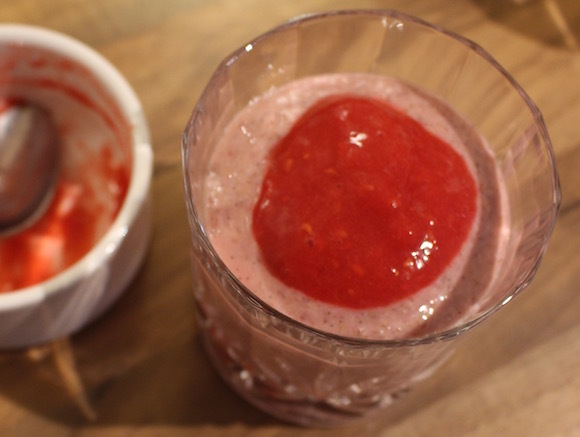 Also, this puree is so delicious and could easily be made on it's own to do something else delicious, like top frozen yoghurt. It's literally just raspberries and bit of maple syrup... So simple!